Begin your research on Intellectual Property with these prominent treatises and study aids. 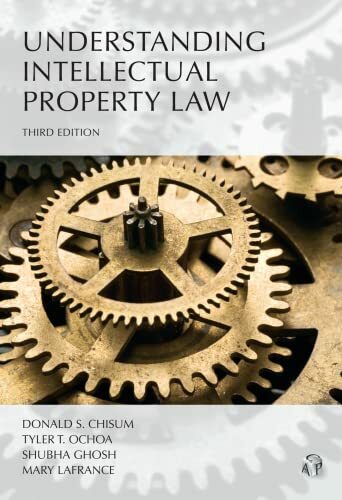 This multi-volume work is a respected treatise which examines the principles and tenets of patent law, as well as the rules concerning patentability. Among the issues discussed are statutory bars, adequate disclosure, double patenting and Patent and Trademark Office procedures. Also included is a glossary of patent terms. The format is looseleaf, with supplementation four times per year. Copyright law examples and explanations are provided in this four-part work. It includes an overview of copyright, copyrightable subject matter, ownership and transactions, statutory rights, and copyright litigation. Examples in the work are drawn from judicial opinions, news reports and student questions. This hornbook covers the major principles of intellectual property law, while also addressing emerging issues. It also deals with related topics, like false advertising and deceptive trade practices, and state law issues, including the misappropriation of intangibles and protection for the right of publicity. This study guide provides an understanding of the creation of specific intellectual property rights as well as the determination of a commercial wrong. It discusses the historical inter-relationship between intellectual property law and the law of unfair competition. A four-part study aid, focusing on the foundations and practice of patent, trademark and copyright law. Part 1V gives limited treatment to global intellectual property. Table of cases included. A comprehenvise study aid on copyright, which examines, among other issues, factual works, works made for hire, parody of fair use and software protection. Part 111 is a comparative analysis of copyright, patent and trademark law. A fairly comprehensive overview of international copyright is also provided in Chapter 12. Includes tables of cases and statutes. The study aid covers recently decided Supreme Court cases, the Digital Millennium Copyright Act, as well as changes made in response to TRIPS. It also includes discussion of patents, trade secrets, copyright, trademarks and other intellectual property rights. This electronic version of the preeminent multi-volume print treatise examines the principles and tenets of patent law, as well as the rules concerning patentability. Among the issues discussed are statutory bars, adequate disclosure, double patenting and Patent and Trademark Office procedures. Also included is a glossary of patent terms. This pre-eminent treatise discusses the function of trademarks and their protection, assignment and licensing, infringement, the principles of unfair competition and the Patent and Trademark Office's proceedings. The appendices cover the texts of statutes, rules of practice, legislative history and tables of cases and statutes. Offered in an electronic version by Lexis, this treatise is considered to be one of the most authoritative works on copyright law, covering constitutional, statutory and common law issues. Included are full-text of laws, regulations and international conventions and forms and jury instructions. There are also numerous citations to primary and secondary authorities. This treatise covers the full range of patent law issues, providing black-letter rules with extended commentary. A treatise which comprehensively covers the law of unfair competition as well as antitrust law. Coverage extends to protection against unfair competition, unfair advertising and pricing and the unlawful conduct of business. Included in the appendices are federal antitrust statutes, guidelines and regulations. This treatise provides extensive coverage of the law relating to the protection and use of trade secrets. Issues discussed include licensing of trade secrets, contractual and legal protections of trade secrets as well as how trade secrets relate to copyright and patent law. The appendices contain laws, regulations, reports as well as articles. A table of cases is also included. A treatise which analytically discusses a range of patent law issues. A comprehensive copyright treatise which includes legislative history information for individual statutory provisions and circuit-by-circuit breakdowns for litigation issues. It also extensively discusses jurisdiction, choice of law, and international issues.